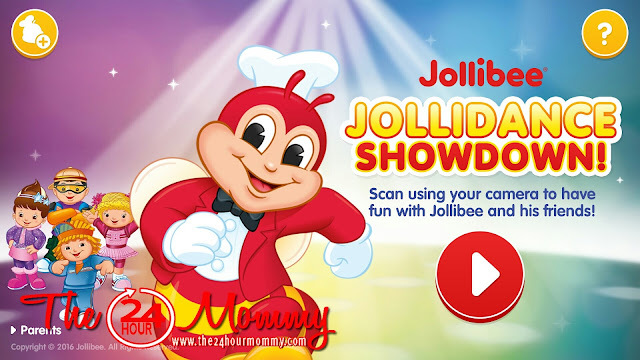 Jollibee, the country's number one fast-food chain, recently launched its first-ever mobile app called JolliDance Showdown. I was present, during the launch last week and was able to witness how awesome the application is. The all-new mobile app uses augmented reality (AR) with the help of the Jollibee Kids Meal Box. 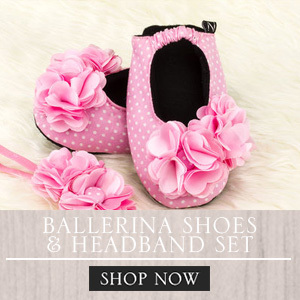 It was developed by renowned Los Angeles-based mobile innovation agency, Trigger, the same agency that produced applications for clients such as Sony Pictures, Lionsgate Entertainment, and Lucas Film. 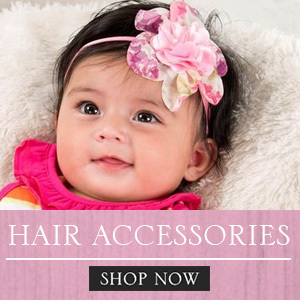 Ok, so here's how it works. 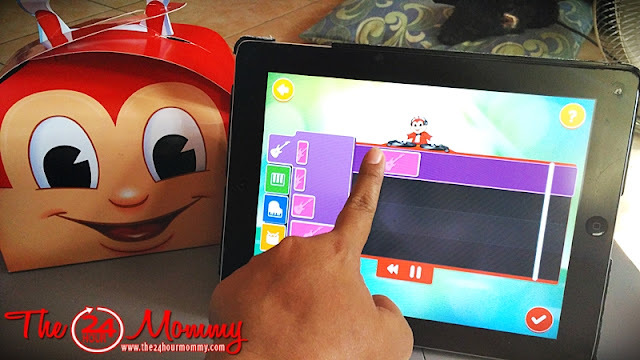 After downloading the app from iTunes or Google Play Store, just open it and, with your phone camera, scan the Jollibee Kids Meal box. 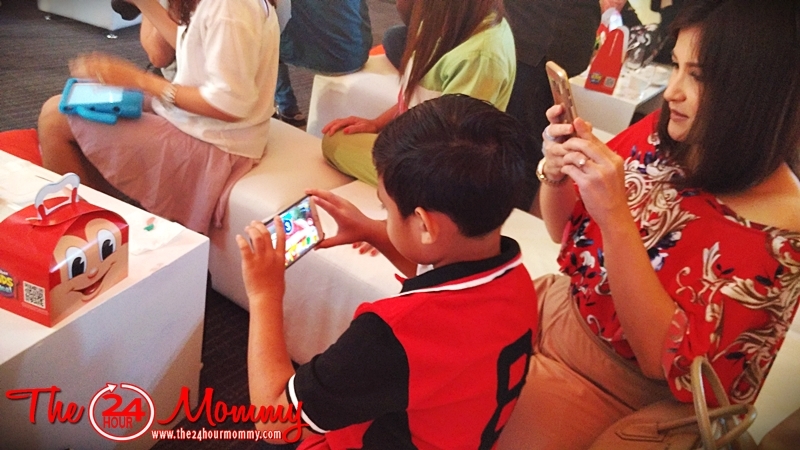 Below you can celebrity mom Camille Prats and son, Nathan, trying it out for the first time. Of course, I had to try it for myself once I got home, haha! 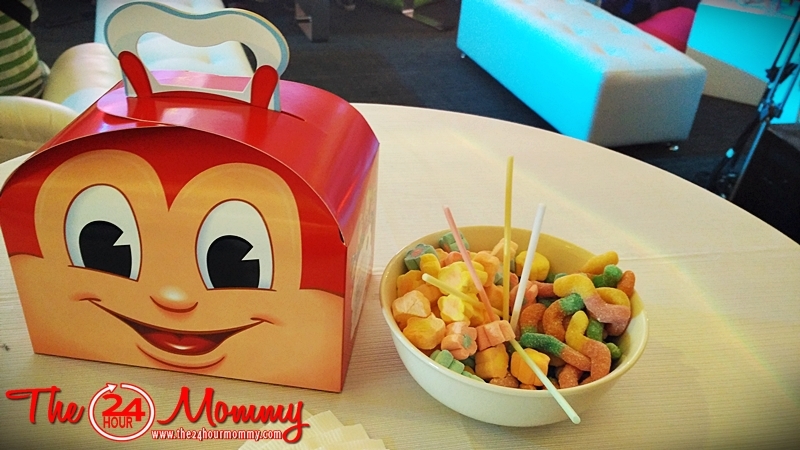 Can you see how the box transformed into a platform with a colorful house and Jollibee standing in front? 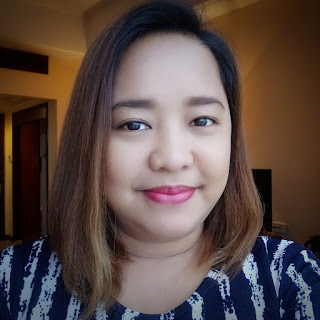 Galing 'no? 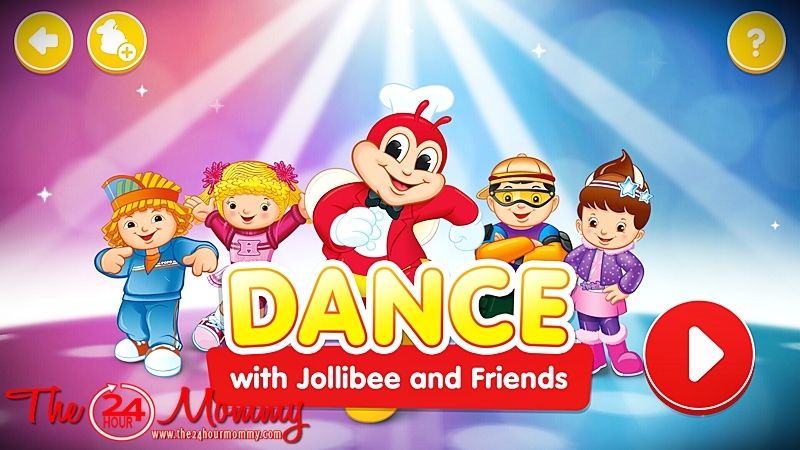 The application currently has 2 games: DJ for Jollibee and Dance with Jollibee and Friends. 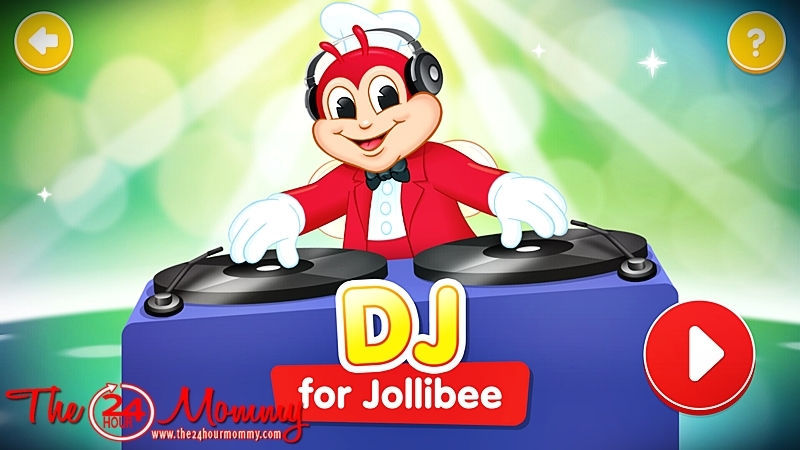 DJ for Jollibee gives users a chance to mix their own music that Jollibee can dance to. Think of Garage Band made simple. After the mix is complete, the next screen will show Jollibee dancing to the music. Meanwhile, in Dance with Jollibee and Friends, users capture their photos for their own avatars and they get to enjoy Electro, Pop, and Rock beats with Jollibee. 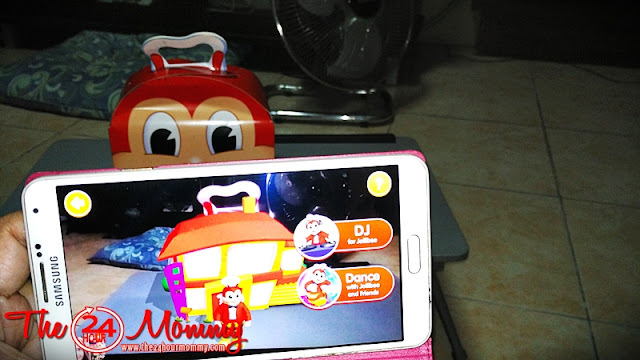 Yup, that;s my avatar dancing with Jollibee! Other characters are unlocked with every visit to Jollibee branches and scanning the Jolly Kiddie Meal promo board located at the store counters. 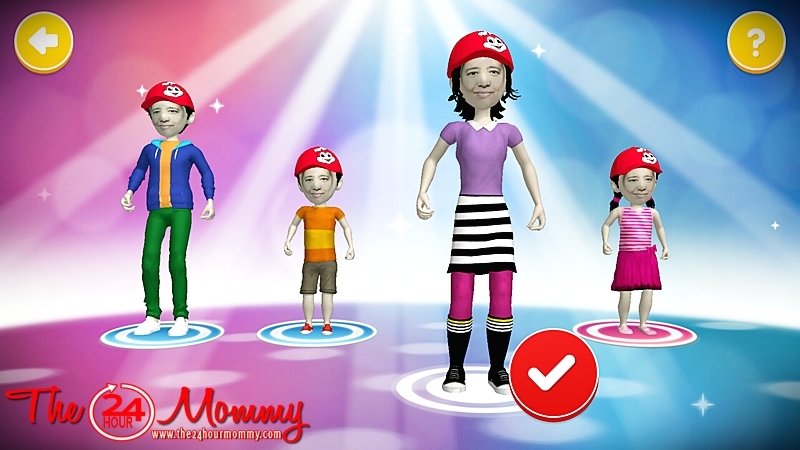 More photos are posted in our Facebook page: www.facebook.com/The24HourMommy.